There will be visitation 1 hour before the Funeral Mass at the church on Friday morning. All who knew Antonio Hernandez would agree that he was an extraordinary man to know and love. He worked hard to support the family he cherished and shared with the love of his life. Together Antonio and Maria experienced so many of the best things that life has to offer, but what made these experiences so special was that they were shared with family and friends. Passive and accepting, he was genuine in his love and concern for others. Life will never be the same without Antonio here, but he leaves behind a priceless collection of memories that his loved ones will forever hold near and dear to their hearts. Life during the 1930s was a time of great trials in Puerto Rico as there were issues such as political unrest, escalating violence, and a population that was struggling in everyday life. 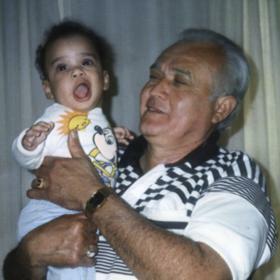 Despite the trials around them, Jose Hernandez Rivera and Maria Vargas Ortiz were able to shift their focus to an exciting time in their own lives as they announced the birth of the baby boy they named Antonio on July 18, 1935, in San German, Puerto Rico. One of 11 children, he was joined in his family by his siblings, Pedro, Victor, Jose, Herminia, Miguelina, Ildifonso, Ruben, Emilio, Rafael, and Antonia. To support their family, Antonio’s father worked in agriculture while his mother was a housewife and mother. As a young man of 21, Antonio moved to Milwaukee, Wisconsin, as he had older brothers living there. This would be the place that he would call home for the rest of his life. Antonio’s move proved to be quite fateful, too, as it was in 1990 that he met the woman of his dreams. 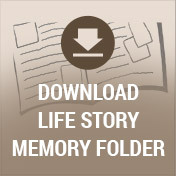 Her name was Maria Morales, and they met in Milwaukee in 1990 while he was living with his brother, Ruben. Antonio saw her walking by the house one day, and it was love at first sight. He called out to her, and they chatted. When Maria finally got on her way that day, Antonio had her telephone number, and the rest is history as they say. 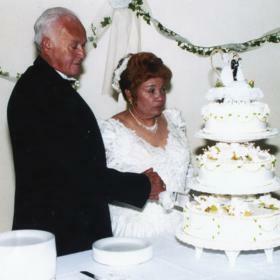 They decided to marry in 2002, and they exchanged their vows in a ceremony at St. Francis of Assisi Church. In everything he did, Antonio loved and cared for his family first and foremost. To support them, he spent the bulk of his working days working as a custodian at the University of Wisconsin – Milwaukee for 25 years before retiring in 1997. Throughout his life, Antonio made the most of the days he was given. He loved visiting his homeland and family back in Puerto Rico, and he went there as often as he could. Antonio enjoyed gathering with family and friends, especially for parrandas and barbecue at his daughter Noemi’s home. When it came to music, he loved slow Spanish music, and he always blessed his daughters and grandchildren with “Dios te cuide y te acompane.” Antonio also loved singing in the choir at St. Patrick’s Church for the past 18 years.  The last year of his life, Antonio faced some health struggles that limited him more. He primarily struggled with his kidneys, and just one week ago his kidneys began to fail and he developed pneumonia. Sadly, his body was not able to overcome the struggle. With a life that spanned times of war and times of peace, times of plenty and times of want, Antonio Hernandez was one of the most kindhearted and gentlest souls around. He was loving and deeply devoted to his family both near and far. Passive and mild-mannered, Antonio was the sort of person who would do whatever he could for someone else. Deeply loved, he will be forever missed. 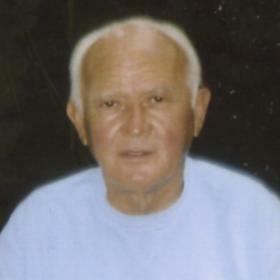 Antonio Hernandez died on January 19, 2018. 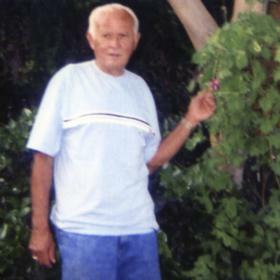 Beloved husband of Maria Morales. Cherished father of Migdalia Ervin and Noemi Boyd. Loving grandfather of Raymond Hill, Joshua Ervin, Jasmine Ervin and Isaiah Boyd. Great-grandfather of Jeremiah Hill, Airianna Williams, Joshua Ervin, Giselle Hill and Justin Ervin. Dear brother of Ruben Hernandez, Emilio Hernandez, Rafael Hernandez and Antonia Hernandez. Further survived by nieces, nephews, other relatives and friends. 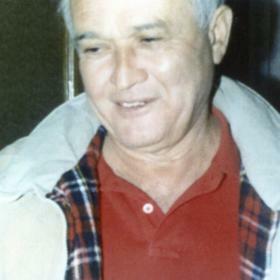 Antonio was preceded in death by his parents Jose Hernandez Rivera and Maria Vargas Ortiz, his siblings Pedro Hernandez, Victor Hernandez, Jose Hernandez, Herminia Hernandez, Miguelina Hernandez and Ildifonso Hernandez. Visitation will be held Thursday, January 25, 2018, at the Suminski Weiss LifeStory Funeral Home 1901 N. Farwell Ave. Milwaukee, WI 53202 from 4:00 p.m. until time of the Prayer Service at 7:00 p.m. and Friday, January 26, 2018, at St. Francis of Assisi Church 1927 North 4th Street Milwaukee, WI, 53212 from 10:00 a.m. until time of the Funeral Mass at 11:00 a.m. Interment to follow at Holy Cross Cemetery.